IR consultant with Mandiant since 2010. Technical Director and IR function lead in Europe since 2014. Adjunct lecturer at NTNU (Norwegian University of Science and Technology) since 2011. Co-author of Digital Forensics, 2017, Wiley. Rick is part of ICANN’s Security team and has over 35 years of Internet experience as engineer, entrepreneur, and policy expert. His interests have been intertwined with the progress of technology from an early age starting with radio to integrated circuitry to computers to networking and the Internet. 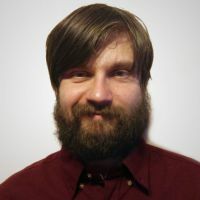 Currently responsible for DNSSEC efforts at ICANN including outreach and training, Rick was the technical and policy architect for ICANN’s root DNSSEC deployment. He regularly teaches and speaks on DNS/DNSSEC and other ICT topics and is a driving force behind DNSSEC’s deployment as a cross organizational, trans-national platform for Internet security innovation and business opportunity. Prior to this he was Director of Global IT policy at the US Department of State where he focused on helping policy makers understand technology across a wide range of agencies and governance issues. Before this he founded a number of small networking startups based on his inventions, the last being acquired by Microsoft, and continues to collabo rate with startups on innovative solutions and has a number of patents. 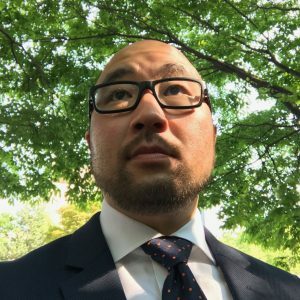 His years in the networking field have included implementation and commercialization of a wide range of communication protocols (UUCP, MEP2, BiSYNC, SDLC, X.25, DECNET, Q.921/931, H.323, IPX, TCP/IP, DNS). Rick received his doctorate from MIT. An experienced information security executive with over 15 years of practitioner experience in cyber defense technologies, security operations, counter threat intelligence, data analytics and behavioral classification of cyber criminal. Within the domain of organizational operations Azeem has an extensive experience in managing P&L, driving operational excellence, change management and process reengineering. 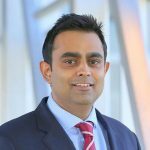 Azeem has been at the forefront of architecting cyber resilience capability against Advanced Persistent Threats (APT) for some of the best financial, government and public sector organizations across Europe, the US, Asia and the Middle East. He has worked extensively with the national and international law enforcement agencies around. Guy has been in Information Security for 27 years, working as a security architect, consultant and compliance expert. His experience working for consulting companies and security vendors spans many information security and networking fields. 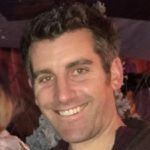 He has been with Forescout in various roles for 14 years, actively contributing to its product, technology and sales teams. 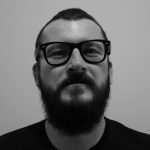 Securing Windows operations environment from practical view I am Project Lead working to improve security for a Global Production Company with HQ in Europe – I am working in HQ. During presentation I will share with audience what challenges I found and how I overcome them. Customer due to its specific, legacy systems and IT departments changes has complicated Windows servers / clients environment whose security must be improved. During project I am in touch with teams from US, APAC, Europe. Each of them has different work attitude, however security issues are understood in this same way. After initial phase we found that more aspects of security need to be taken into consideration. I will share my lessons learned and recommendations. Vladimir Bobor was born 1971 in Belgrade, Serbia. From 1994 he lives in Stockholm, Sweden. He achieved in 2006 his MSc with specialization in Information and Communication Systems Security from Royal Institute of Technology (KTH) Stockholm and B.Sc. in Computer Engineering 2000. 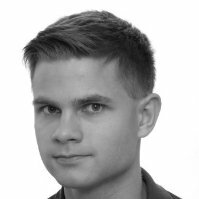 In 2007 he joined TeliaCERT team as incident handler and forensics analyst with responsibility to coordinate Swedish part of TeliaCERT team. 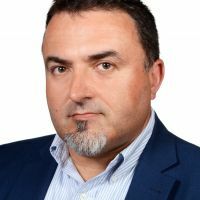 He has long experience in Information Security field; Network Security and Computer-Network Forensics.Since 2014 he is a member of TF-CSIRT TI Steering Committee. 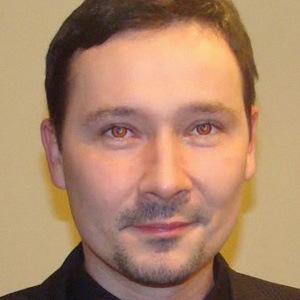 Vladimir was one of initiators of Swedish CERT Forum. 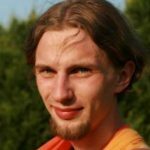 Obecnie pracuje jako inżynier bezpieczeństwa specjalizując się w integracji infrastruktury bezpieczeństwa, budowaniu systemów monitorowania, wykrywania oraz automatycznego i półautomatycznego reagowania na incydenty w globalnych infrastrukturach dużej skali. Interesuje się rozwojem i praktycznymi implikacjami całościowych, złożonych, wieloczynnikowych modeli w obszarze obronności. Kilkunastoletnie doświadczenie w obszarze IT zdobywał m.in. 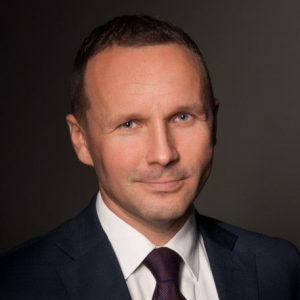 jako wdrożeniowiec, administrator, analityk, specjalista ds. bezpieczeństwa. Ostatnio zajmował się zabezpieczaniem myśl naukowej oraz własności intelektualnej w newralgicznych obszarach badań takich jak nanobioinżynieria oraz genomika. Dyrektor IT związany z Centrum Medycznym Enel-Med S.A. od 2008 roku. Zaczynający w strukturach Enel-Med jako Administrator Systemów IT, poznając kompleksowe działanie spółki i wdrażający wiele procesów informatycznych. Związany z szeroko rozumianą informatyką od ponad 15 lat. W Enel-Med odpowiada za pełen proces informatyzacji spółki i placówek medycznych od warstwy sieciowej do aplikacyjnej, umożliwiającej świadczenie usług B2C i B2B. W zakresie bezpieczeństwa ściśle współpracujący z ABI w Enel-Med. The author is an information security specialist with years of experience in the public sector. 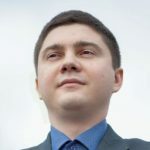 Currently he is working at I-BS.pl company dealing with, inter alia, training in IT security and personal data protection. In his spare time he analyzes the “dark side” of cyberspace. OSINT’s use in cyber-security, incident management, the use of forensic linguistics and profiling in investigating the ways in which cybercriminals work, creating and promoting a culture of information security are the issues that they are most likely to spend their time with. Specialist in intellectual property and new technology law at Ślązak, Zapiór i Wspólnicy Advocates And Legal Counsels Limited Liability Partnership. He has experience in providing legal services to entities in the creative industries, where intellectual property rights are an important part of business. Works with creators and artists, filmmakers, cultural institutions and event organizers, architectural offices, interactive design offices and software houses, software developers, web developers, and other IT players. Legal co-ordinator in the field of permanent, comprehensive legal service of entities from the IT industry. Legal adviser on matters related to security i ssues and law on the Internet. 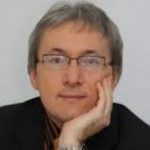 IPblog.pl Editor in Intellectual Property and New Technologies blog. 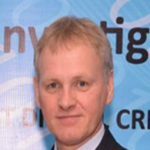 Steve Gregory is a 22-year veteran Detective Police Officer from the United Kingdom. 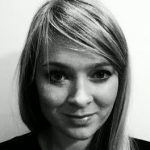 Having experience in computer forensics investigations, both with the Police and latterly in the private sector. 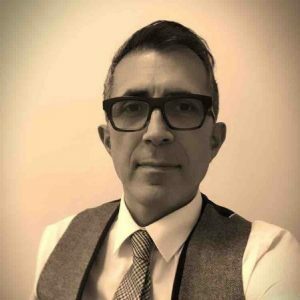 He has been employed by Guidance Software for over thirteen years during which time he has worked with in various departments such as the Training, Profes sional Services and the Forensic Business Unit. Steve recently returned to Guidance Software from Magnet Forensics where he was employed as Manager Forensic Technology (Sales). 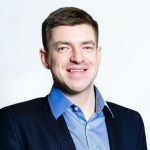 In his current role at Guidance Software his responsibilities include advising customers and channel partners of the technical features, functionality and benefits of EnCase Forensic software and Tableau hardware solutions, as well as obtaining vital customer feedback. 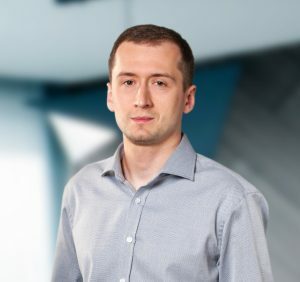 Specjalista z zakresu bezpieczeństwa informatycznego, od prawie czterech lat związany z branżą IT Security. 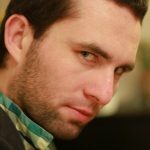 Wcześniej pentester u globalnego dostawcy usług bezpieczeństwa Trustwave (grupa Spiderlabs Application Security) oraz specjalista dbający o rozwój produktu klasy SIEM tej samej firmy. Prelegent na konferencji TAPT w temacie bezpieczeństwa urządzeń bezprzewodowych. Jeden z członków założycieli Warszawskiego Hackerspace. Specjalista ds. bezpieczeństwa IT (9 lat doświadczenia w branży). Budowa, utrzymywanie i rozwój SOCs; Zarządzanie SOCs; Obsługa incydentów bezpieczeństwa; Analiza zagrożeń; Monitorowanie bezpieczeństwa; Implementacja i tuning mechanizmów wykrywania zagrożeń w systemach bezpieczeństwa; Szkolenie analityków SOC; Przygotowanie procedur obsługi bezpieczeństwa; Zarządzanie podatnościami bezpieczeństwa. 20 lat doświadczenia z czego ostatnich pięć w obszarze informatyki śledczej. 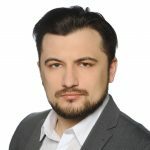 Obecnie Senior Solutions Executive odpowiedzialny za terytorium APAC i EMEA. 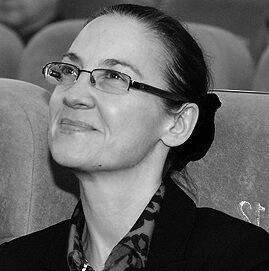 As a Manager in Fraud Investigation and Dispute Services she supervises Polish and international projects related to data preservation, electronic data analysis and IT forensics. 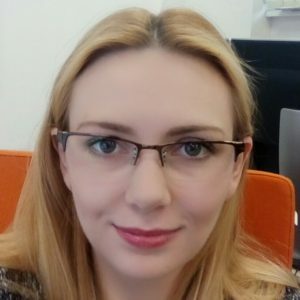 She is cooperating with Polish and international law firms and EY teams and supervises collections, processing and organization of electronic data review as well as preparation of electronic evidence for companies and law firms. Results of these procedures were used multiple times as evidence in fraud and corruption cases, as well as during incident response procedures. She is a lecturer at post-graduate studies and leads courses on conducting investigations with the use of eDiscovery methods. 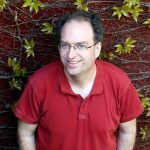 Rob Huikeshoven has been a programmer, architect, engineer, advisor, trainer and consultant. 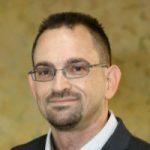 Rob has over 18 years of programming, network security, IAM specialist, endpoint security, training and consulting experience. Throughout Rob’s career, he has worked for both private sector, resellers and vendors with always the focus on IT Security. Aleksander Jagosz jest absolwentem Wyższej Szkoły Biznesu w Dąbrowie Górniczej. Posiada wieloletnie doświadczenie w zakresie bezpieczeństwa systemów teleinformatycznych. 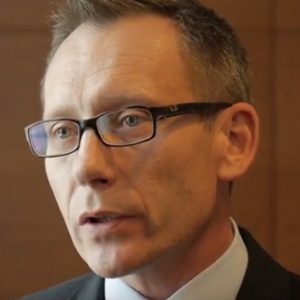 Przez ostatnie kilkanaście zajmował stanowiska administratora, inżyniera systemowego oraz (przez 7 lat) inżyniera konsultanta w Solidex SA. Główne obszary jego zainteresowań to wsparcie sprzedaży oraz projektowanie systemów bezpieczeństwa sieciowego, bazujące na zaawansowanych rozwiązaniach takich firm, jak: Cisco, Check Point, Juniper, F5 czy Palo Alto Networks. 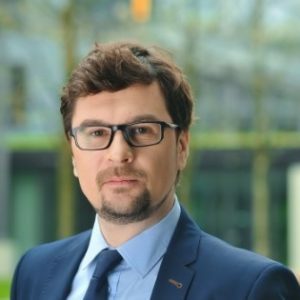 Obecnie Aleksander pełni funkcję kierownika Wydziału Integracji Rozwiązań Security w Integrated Solutions. 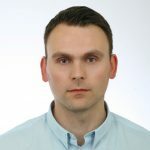 Aleksander Jagosz posiada liczne certyfikaty branżowe, między innymi: Cisco Certified Security Professional, Check Point Certified Security Expert, F5 Certified System Engineer , FireEye System Engineer I Palo Alto Networks Certified Network Security Engineer. 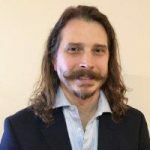 David has 19 years’ experience in software sales and sales leadership roles, of which nearly 10 years have been in the Security and Cyber Security industries. During this time, he has helped many organisations to secure their employees and their data. Most recently, at PhishMe, he has been showing customers how to protect their employees from human-targeted attacks. M.Sc. of electronics, Electronic Department (2 Faculties), Technical University of Wroclaw. For over 20 years in IT, starting from SysAdm and NetAdm position. For over 15 years in IT security area, for 12 years in IT forensics. 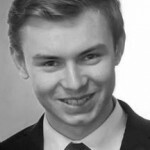 His professional experience includes work for IBM GSDC, Bank Zachodni WBK, financial groups. Active member of CSIRT Team at Wroclaw Centre for Networking and Supercomputing at Technical University of Wroclaw. Now working as a senior security consultant assistant director at EY Poland. For over 4 years expert witness at Regional Court Wroclaw and Regional Court Swidnica. Cooperates with police and other agencies in the area of IT forensic, data analysis, multimedia data recovery and correction. Member of ISACA, ISSA and OWASP, staff and lecturer newly created Cyber Security faculty at Electronics Department at Technical University of Wroclaw. He composes and performs electronic music. 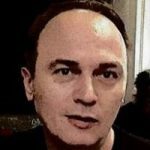 Piotr Kalbarczyk od ponad 16 lat związany jest z branżą finansową, w ramach swoich obowiązków zajmował się różnymi aspektami zabezpieczania procesów biznesowych. Od czterech lat kieruje w PKO Banku Polskim zespołem odpowiedzialnym między innymi za wdrażanie standardów i systemów bezpieczeństwa, monitorowanie bezpieczeństwa systemu informatycznego banku, przeciwdziałanie cyberatakom oraz zarządzanie incydentami bezpieczeństwa. Jest członkiem Grupy Zarządzającej Cyberbezpieczeństwem Banków Bankowego Centrum Cyberbezpieczeństwa powstałego z inicjatywy Związku Banków Polskich. Jest absolwentem Wyższej Szkoły Zarządzania – The Polish Open University w Warszawie, a także studiów MBA – Oxford Brookes University. 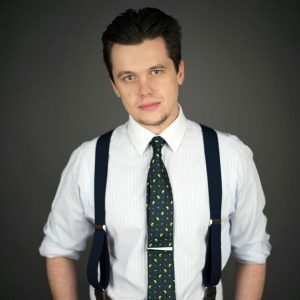 He graduated from the Faculty of Law and Administration and the College of Foreign Languages at the Adam Mickiewicz University in Poznan. He was a scholar at Rennes University in France. 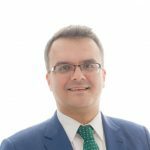 He specialized in data protection and new technologies, mergers and acquisitions, commercial law, corporate law, real estate law and contract law. He participates in various law and technology projects related to IT contracts as well as protection and processing of personal data. Mostly for such sectors as medical, music, recruitment, production and distribution. 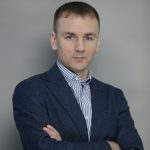 He has also been a lecturer on many conferences, seminars or trainings especially connected with personal data protection. He’s been working in Rödl & Partner since 2014. He speaks fluent English and French. Author of numerous publications. A passionate in information technology, for nearly 20 years exploring ICT security issues, author of over 100 publications in this field. Academic lecturer, social worker, project manager, strategic consultant, trainer, auditor. 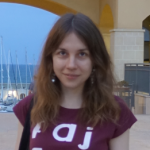 Leader of the Man-Machine Interaction Research Team at Silesian University of Technology. 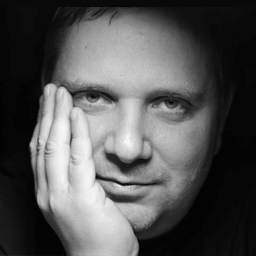 Since 2001 he has been involved in the design and implementation of strong authentication systems, with particular emphasis on biometric systems. Member of the Committee No. 309 of the Polish Committee for Standardization. Member of the biometrics group at the Polish Bank Association. The initiator of the conference dedicated to the subject of strong authentication and the founder of the vortal devoted to authentication. 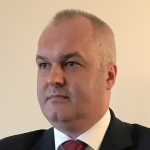 Member of the Board of the Upper Silesian Branch of Polish Information Processing Society (PIPS), chairman of the Board of IT Future Section at PIPS, member of the Board of Information Security Section at PIPS, member of the PIPS Chamber of Experts and member of the PIPS Scientific Council. Kaspar Clos studied computer science at TU Darmstadt. After his diploma thesis on verifiable internet voting at TUD he started to work as a network engineer. 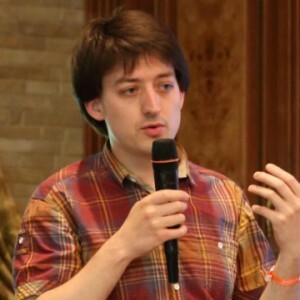 Kaspar now works for CERT-Bund’s covering a broad array of topics. Tasks include CERT-Bund’s international engagement as well as the improvement of IH and information sharing processes. 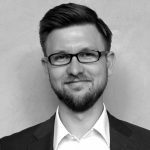 Marco Klockenkämper has previously held roles in Technical Support, Support Engineering, and Inside Sales where he managed teams to improve product workflows and handled customer support requests. Marco currently works as a Sales Engineer at Magnet Forensics for the DACH region, consulting with the Research & Development and Sales teams to communicate customer feedback to improve the capabilities of Magnet AXIOM. Specialist in the Mediarecovery computer forensics laboratory. 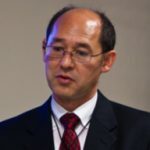 His main duties include data analysis, licensing of intellectual property computer software and cases related to offenses against business. Author of nearly 350 forensic expertises. Participant in training courses and courses organized by US and German specialist companies, among others. X-Ways and Guidance Software (EnCase). He is a certified internal auditor of the Information Security Management System in accordance with ISO 27001. He has repeatedly participated in securing computer data during operations performed by public security and public safety authorities. Has a personal security clearance authorizing access to classified information marked with a confidential clause. w po ataki na infrastrukturę teleinformatyczną. Mariusz był prelegentem podczas kilkunastu polskich, branżowych konferencji, adresowanych zarównodo specjalistów IT jak i kadry managerskiej czy służb mundurowych. W prezentacjach przedstawia wyniki swoich doświadczeń zawodowych oraz badań z zakresu informatyki śledczej, cyberprzestępczości oraz reakcji na incydent. Prowadził szereg szkoleń z zakresu cyberbezpieczeństwa dla polskich firm, a także warsztatów technicznych dla studentów. Jest jednym z niewielu inżynierów systemowych, który jest jednocześnie dziennikarzem. 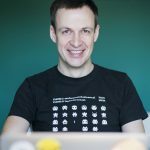 Przez ponad dekadę prowadził dział technologii i bezpieczeństwa Computerworld, jest autorem wielu artykułów, badań i opracowań (bezpieczeństwo, technologie mobilne), był członkiem rady programowej kilku konferencji bezpieczeństwa (w tym konferencja SEMAFOR) organizowanych we współpracy z ISSA Polska oraz ISACA Warsaw Chapter. Jako inżynier prowadził działania mające na celu wykrywanie i usuwanie złośliwego oprogramowania w firmach, opracował i wprowadził założenia polityki bezpieczeństwa w kilku firmach z sektora MSP. Pracował jako specjalista do spraw infrastruktury sieciowej u jednego z operatorów, gdzie odpowiadał za działanie i bezpieczeństwo usług głosowych tego operatora. Aktywnie prowadzi działania mające na celu poprawę stanu bezpieczeństwa polskich organizacji, jest certyfikowanym inżynierem rozwiązań różnych producentów. Członek ISSA Polska. Obecnie pracuje jako inżynier systemowy w firmie Versim S.A., jest równocześnie dziennikarzem technologicznym w ITWiz, gdzie zajmuje się tematyką bezpieczeństwa IT. 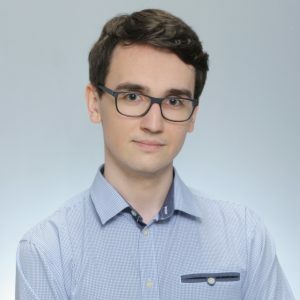 Graduated from Poznań University of Technology, for years now has been involved with developing software for the financial sector. 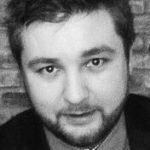 Over the course of his career Marcin has been creating systems for largest banks in Poland, including both corporate and retail ones. 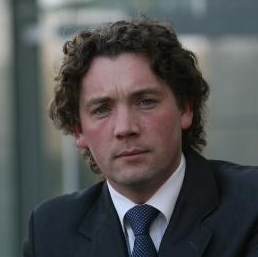 His experience also includes delivering solutions for energy companies and the public sector. Long term employee, and a member of security team at Consdata. Co-organizer and speaker at OWASP meetings. Common sense enthusiast, aspiring game developer. Prezes Zarządu i architekt odporności biznesu w Resilia Sp. z o.o. specjalizujący się w dziedzinach zarządzania ryzykiem operacyjnym, bezpieczeństwem informacji, ciągłością działania, sytuacjami kryzysowymi z 15 letnim doświadczeniem. Zrealizował kilkadziesiąt projektów doradczych dla międzynarodowych korporacji, jak również małych i średnich firm w zakresie wdrożenia polityk bezpieczeństwa danych osobowych, planów ciągłości działania, systemów kontroli wewnętrznej, programów zarządzania ryzykiem. Realizuje audyty, wdrożenia, szkolenia oraz wspiera Klientów w zakresie koordynacji działań w obszarze bezpieczeństwa. Kierownik projektu zakończonego pierwszą w Polsce pełną certyfikacją systemu zarządzania ciągłością działania wg normy ISO 22301:2012. Wykładowca na Wydziałach Zarządzania, Inżynierii Lądowej Politechniki Warszawskiej oraz Collegium Civitas prowadzący zajęcia „Zarządzanie systemami informacyjnymi i ich bezpieczne stosowanie”. Kierownik studiów w zakresie Cyberbezpieczeństwa na Akademii Leona Koźmińskiego. Akredytowany trener PECB Kanada współpracujący z firmami szkoleniowymi Traino, Compendium i Customized Training Solutions. Prowadzący moduł IV Akademii POLRISK „Certyfikowany Zawodowy Menedżer Ryzyka” – pt. „Zarządzanie ciągłością działania i zarządzanie kryzysowe”. 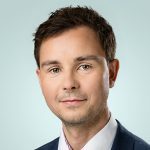 Prywatnie pasjonat nowych technologii w zakresie wykorzystania business intelligence w zarządzaniu cyberbezpieczeństwem i komunikacji mobilnej w zarządzaniu kryzysowym. 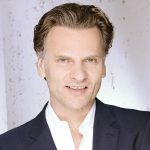 Robert Michalski jest inżynierem bezpieczeństwa z ponad 16-letnim stażem na karku i wieloma zbędnymi certyfikatami. Zdeklarowany przeciwnik bełkotu marketingowego i bełkotu w ogóle. Zwolennik samodzielnego, logicznego myślenia. Epigon Monty Pythona. Understanding that real-world security involves both technology and business considerations, Dave helps organizations to fully consider their security and policy decisions in real-world terms. Dave has traveled the world presenting security ideas and solving organizations hardest problems. With over fifteen years of experience in a wide-range of technologies, Dave brings a wealth of knowledge and understanding to every situation. Dave began his career performing UNIX and Linux administration in academic and high performance computing environments where he helped build some of the most powerful computational systems of their day. 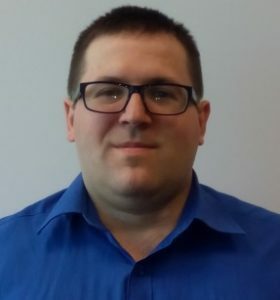 subsequent to systems administration Dave moved into Internet security, having served as a Lead Security Engineer for a Big ten University and later helped to launch the Research and Education Networking ISAC, part of the formal U.S. ISAC community. 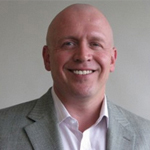 Dave joined Team Cymru in 2007 where he has served as their Senior Engineer and later as a Security Evangelist. In 2010, Dave was granted the title of Team Cymru Fellow, a highest honor of Team Cymru. Dave has managed multiple teams as part of Team Cymru ranging from Engineering, Outreach, Threat Intelligence, Sales, and Marketing. Sales professional with 12 years of sales experience in Central & Eastern Europe. Prior to his sales career, Brana spent a number of years in IT in various positions. He holds BSc in Mathematics and BSc in IT Management. Strateg, perfekcjonista, niezależny badacz bezpieczeństwa w ujęciu interdyscyplinarnym. Zajmuje się problematyką złożoności, koordynacji oraz spójności podejścia do rozwiązywania wyzwań strategicznych. Pasjonuje się nauką. Zawodowo prowadzi program budowy departamentu wykrywania włamań i obrony informatycznej dla międzynarodowej korporacji. 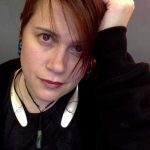 Quinn Norton is a writer who likes to hang out in the dead end alleys and rough neighborhood of the Internet, where bad things can happen to defenseless little packets – they are also the places poetries and freedoms are born. She started studying hackers in 1995, after a wasted youth of Usenet and BBSing. She covers subjects from science and technology and law to social media and society, but she always comes back to hackers. Previously responsible of the Global Cyber Intelligence Service at Prosegur, performing business development tasks since its inception. 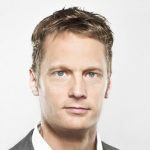 CEO and founder of the technological startup Hackdoor, focused in innovation within the cyber intelligence area and runner up at CyberVentures 2015. His entrepreneurial life started in year 2004 as CEO of NIBBLE AT INFOREDUCA SL. He additionally taught several cyber security courses at the Universidad de Alcalá de Hernares, as researcher of the Digital Security and Internet of the Future chair. Also participated as speaker in multiple conferences such as CiberSeg – Jornadas de Seguridad y Ciber Defensa, APWG.EU eCrime Cyber-Security Symposium, MundoHacker Day and Cybercamp. His passion for technology and security strongly motivate him to further investigate and learn day to day. Mgr Paweł Olber, Higher School of Police in Szczytno, expert witness in IT research. 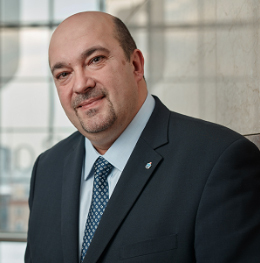 He is a speaker and participant in a number of courses on issues related to cybercrime, including: Ultimate Response & Digital Investigations 2015, First Responders & Cyber Forensics 2016. His research focuses on issues related to legal and technical aspects of securing Data from cloud computing. 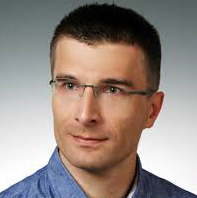 Lukasz Olejnik is a security and privacy researcher, consultant and advisor. He specializes in web security and privacy, privacy engineering, privacy reviews and privacy impact assessments. 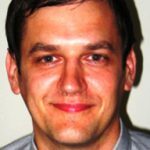 He has industry, research and technology policy experience, and he contributes to privacy reviews of web standards as a W3C Invited Expert. 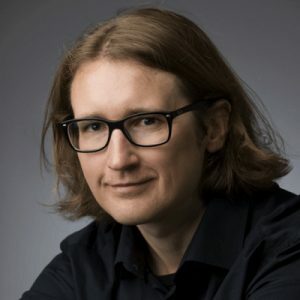 PhD in Computer Science, IT Systems Analyst and Architect, Didactics and Lecturer at AGH University of Science and Technology in Cracow. 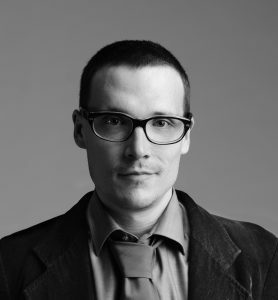 Kamil Piętak, PhD in Computer Science, IT Systems Analyst and Architect, Didactics and Lecturer at AGH University of Science and Technology in Cracow. 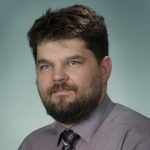 For nearly 10 years he has been working in the Information Technology Laboratory at the Department of Computer Science on IT projects dedicated to Polish institutions responsible for state security. He co-creates the AGH Cyber Insurance Center, which conducts educational, expert and implementation activities in the area of IT systems in the area of public security and cyber security. 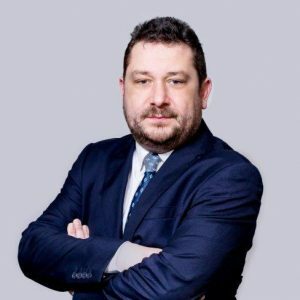 Edvinas Pranculis is a business and security management professional with 13+ years of experience in security consulting and international business development. 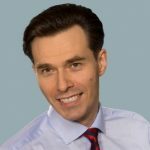 Edvinas earned his Master of Management (MM) degree in BI Norwegian School of Management and ISM University of Management and Economics and also holds recognised CISA, CISM, CRISC and ITIL certifications. Doświadczony praktyk, z branżą IT związana od 2009 roku. Zainteresowanie tematyką IT Security to wynik wieloletnich obserwacji złych praktyk w pracy użytkowników i administratorów. Obecnie analityk SOC, na co dzień zajmuje się wyszukiwaniem anomalii, mogących świadczyć o działalności złośliwego oprogramowania. 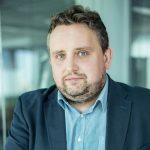 Właściciel firmy upsecure.pl, asystent w Pracowni Informatyki Prawniczej na Wydziale Prawa i Administracji UG, autor publikacji naukowych i popularnonaukowych z zakresu ochrony danych osobowych i bezpieczeństwa informacyjnego. Pracuje nad rozprawą doktorską z zakresu ochrony prywatności w fazie projektowania w kontekście powszechnych standardów bezpieczeństwa, przeprowadza audyty ochrony danych osobowych oraz audyty bezpieczeństwa aplikacji webowych, specjalizuje się w tworzeniu rozwiązań pisanych w języku Python. 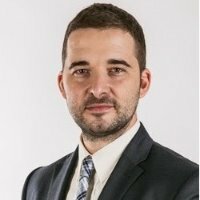 Absolwentka Politechniki Śląskiej, posiadaczka certyfikatów CISSP, CISM, CISA oraz kilku innych technicznych. 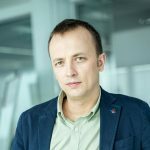 Obecnie manager zespołu (CCERT) Cyber Crime Expertise and Response Team w Globalnym Centrum Bezpieczeństwa dla grupy ING, z którym związana jest od 7 lat. Karierę w branży IT Security rozpoczęła jako analityk incydentów bezpieczeństwa IT, później odpowiedzialna za budowanie globalnej roli CERT w ING. Zajmuje się zagadnieniami cyber response, responsible-disclosure oraz analizą podatności. IT security projects consultant since many years. Forensics experts, ISO/IEC 27001 Lead Auditor as well as Certified Lead Penetration Tester. Trainer and lecturer, cooperating with training institutes, academia and research institutes on the IT security projects. 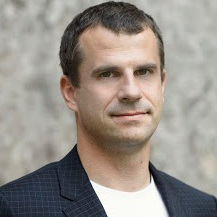 Until 2014 member of the board in Europol, Polish representative on the Europol forum, member of the Europol working groups: IT and Corporate ones. Europol Product Manager and IT Systems Manager. Former Head of Europol National Unit in International Cooperation Office of General Police Headquarters of Poland. For more than 18 years involved in international IT Security projects and fight against cybercrime. He holds numerous IT Security certificates, among others: . : CISSO, CDFE, CPTE, CDRE, ISO 27001– Lead Auditor, ISO 27002 – Lead Implementer, CLPT – Certified Lead Penetration Tester, ISO 37001 Lead Implementer. Also he is certified in MCP: Microsoft Certified Profession. Member of Expert Groups: „Computer Forensics – IACIS” and “HTCIA – High Technology Crime Investigation Association”. He’s been working in IT industry for over 20 years now, especially focused on: compliance issues, application and data security. 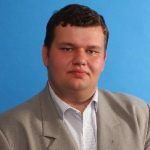 He was a co-founder of Polish unit of Symantec company, where he managed several consulting divisions working on anti-piracy protection and software security analysis. 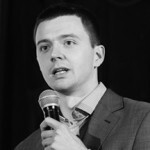 Now, he is a leader of the Secure Connectivity domain and IT Security Team Manager at Cybercom Poland. His team specializes in IT application and infrastructure protection, penetration testing, security audits, compliance and social engineering tests. 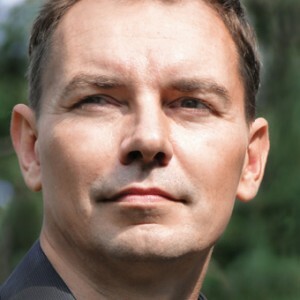 Patrick Zandl established the first Czech technology news server Mobil.cz in 1996, later first czechvideoportal Stream.cz and Energomonitor.com, energy consumption monitoring service. 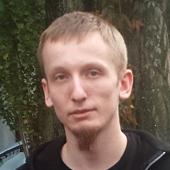 Today he works as the head of the Turris router project at CZ.NIC. 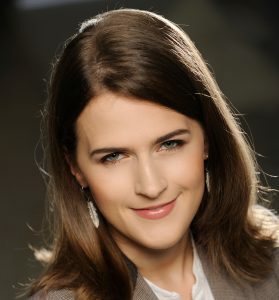 A graduate of Warsaw School of Economics, faculty: Project Management, Finance and Accounting and IT Management Systems. A specialist with 5-year experience in IT consulting and IT sales with a reference to cybersecurity and cloud solutions, software development as well as IT developers’ outsourcing. She has worked in the SCRUM and ITIL methodology. Graduate of the Warsaw School of Economics. 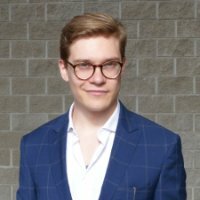 President of the Board at Instrat Foundation think-tank and author at WeTheCrowd digital medium. His research focuses on digital economy, international power structures, systemic changes and innovations. Płk Remigiusz Żuchowski jest absolwentem Wyższej Szkoły Oficerskiej w Toruniu. Służbę rozpoczął w 1998 roku w 9 Brygadzie Kawalerii Pancernej. Dwukrotny uczestnik misji w Iraku. Pełnił służbę w strukturze Eurokorpusu w Strasbourgu a także w Sztabie Generalnym Wojska Polskiego. W tym roku został wyznaczony na stanowisko w Dowództwie Wojsk Obrony Terytorialnej. 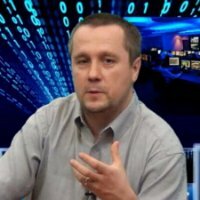 Płk Żuchowski zajmuje się teorią i praktyką analizy przestrzeni informacyjnej od 2009 roku.